News of Bill Cosby being found guilty on all three counts in his sexual assault trial erupted across social media Thursday as a handful of celebrities took to Twitter to applaud the verdict. In a fitting end to Sexual Assault Awareness month, Bill Cosby was found guilty today. Thinking of all the women he traumatized over the past 50 years. As a survivor myself, I know that pain never fully goes away. But I hope that his victims finally feel some semblance of peace. The state of America is this- Even with dozens of accusers we were all afraid Bill Cosby would walk. Cosby is guilty. I’m sorry if you loved a lie. His victims can now exhale. Thank you judge and jury. Thank you society for waking up. 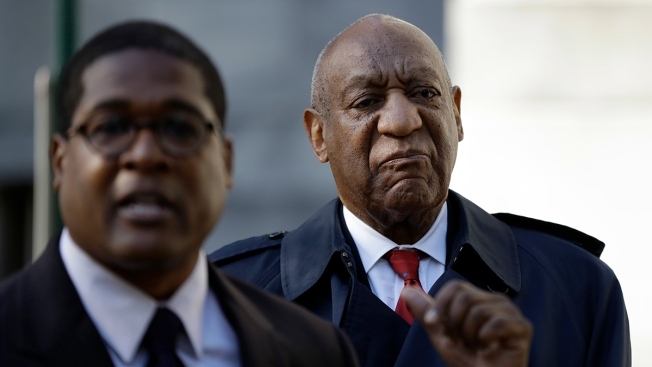 Cosby, 80, was originally charged in 2015. He faced three counts of aggravated assault related to an encounter with a former Temple University employee, Andrea Constand, in his Cheltenham home. He was accused of drugging and molesting Constand in 2004. During the trial, five other women testified to also having been drugged and assaulted by Cosby. The initial trial last year, also held at a courthouse in Norristown, Pennsylvania, garnered national attention. It ended in mistrial after the jury deadlocked.